Louisiana Precision Rifles (LPR) has a new custom action with all the features you could want in a deluxe Rem-700-clone receiver. The new Rem-700 footprint LPR action is available in stainless steel or chrome moly, in Right Hand, Left Hand, Long- or Short-action versions, suitable for .223 Rem through .338 Lapua Magnum. LPR’s owner William Roscoe included some very nice features in this new action — it’s a far cry from another “bare bones” Rem-700 clone. The bottom of the action features a .125″ radius cut for modified detachable box magazines, and the receiver is otherwise compliant with both ADL and BDL bottom metal. Notably, the new LPR action is slightly longer than a standard Rem 700 receiver. 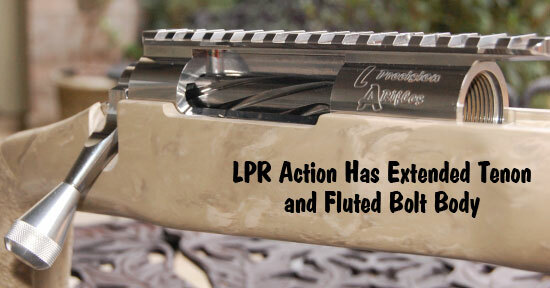 The LPR action has a longer 1.0625 x 16 TPI tenon for better barrel support. In the front of the action is a precision-ground, double-pinned .312″ recoil lug. 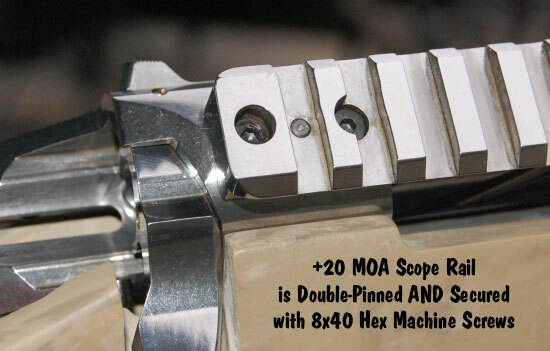 On top of the action, Louisana Precision includes a custom +20 MOA scope rail, that is both double-pinned and secured with oversize 8×40 screws. Roscoe has relocated the bolt release to the side where it is raised up out of the stock line so you don’t have to make a large cut-out in your stock. The bolt is an inpressive piece of work also. It employs a fluted, one-piece bolt body with a threaded handle to accept custom bolt handle knobs. 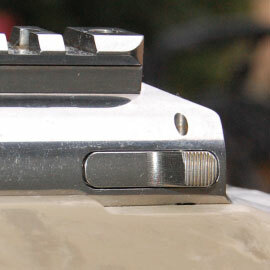 At the rear of the bolt, the cam angles have been carefully modified for smoother extraction and better camming. The front of the bolt is fairly unique. The ejector has been repositioned, and the bolt is fitted with an ultra-reliable mini M16-style extractor. 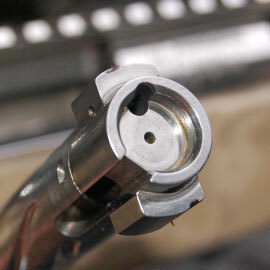 The new LPR action design also allows a 100% captive firing pin tip. This receiver is available right now on complete rifles built by Louisiana Precision Rifles. Individual receivers will be offered for sale at a later date. The cost of a complete custom rifle built by Wm. Roscoe of Louisiana Precision ranges from $2,950 to $3,500 depending on finish, added options and stock choices. Estimated lead time is roughly 30-45 days on receivers. For more info, visit LouisianaPrecisionRifles.com, or call William Roscoe at (318) 422-0421. Share the post "New Custom Action from Louisiana Precision Rifles"
Here are six (6) sources for official match targets: ALCO Target Company, American Target Company, National Target Company, Orrville Printing, Pistoleer.com, and U.S. Target Company. All five of these vendors carry nearly all the NRA High Power and Smallbore targets, including the new, smaller F-Class Targets. 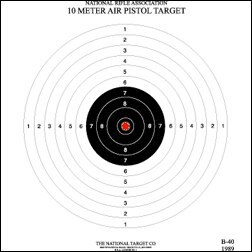 Most sources also have international 300m and 300m-reduced-to-300-yards targets. 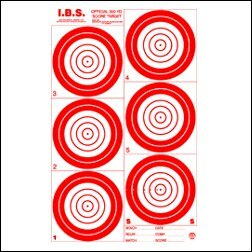 National Target and Orrville Printing currently sell IBS targets for rimfire (50 yard) benchrest, short-range centerfire Benchrest (100, 200, 300 yards), Hunter BR Rifle (100, 200, 300 yards), plus the official 600-yard and 1000-yard IBS targets. 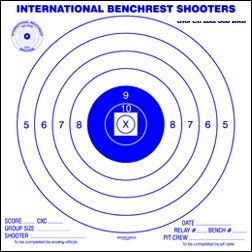 However, this year the IBS designated Orrville Printing as the official source for IBS 100-200-300-600 group and score targets. Orrville Printing was selected after an extensive review of available target papers in 2008. Clubs hosting IBS registered shoots may use up old stock, but new purchases should be from Orrville Printing. We are told that National Target supplies NBRSA matches. One other NRA-licensed target vendors is Central Target Company (Kentucky), (502) 895-3390, but it appears that Central Target doesn’t maintain a web site. *National Target Co. is allowed to sell off remaining IBS Target inventory. 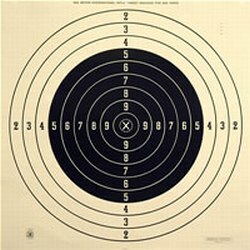 NBRSA 600-yard and 1000-yard targets are also available from Karl Huntstiger, wfo13 [at] aol.com, 2901 E. Cortez Street, Phoenix, AZ 85068. Share the post "Sources for Official NRA, IBS, and NBRSA Targets"